The prevalence of childhood obesity in the United States grows each year. Childhood obesity increases the risk of serious medical problems including type 2 diabetes, high blood pressure, cancer, heart disease, sleep apnea, osteoarthritis, polycystic ovary syndrome, and gall bladder disease. Obese children may also suffer from poor self-esteem if they are teased or bullied by others because of their weight. Get help early! We have experienced staff that know there is no easy solution to childhood obesity. We work with the entire family to promote both improved physical and mental health for children. Call us at (203) 785-3656 or (203) 737-4384. 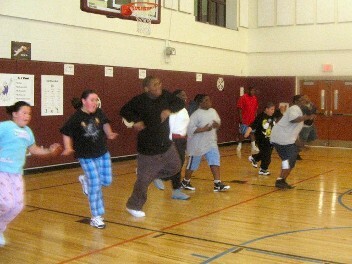 Bright Bodies is a weight management program for children ages 7 to 16 years old. Bright Bodies is a comprehensive program which utilizes the Smart Moves™ Program curriculum, which includes nutrition education, behavior modification and exercise. Bright Bodies is held at the Celentano and John Marinez Schools in New Haven, Connecticut.